The South Florida law firm Siegfried, Rivera, Hyman, Lerner, De La Torre, Mars & Sobel P.A. has completed a comprehensive rebranding as Siegfried Rivera with a new logo, color scheme, website, and blogs. The new look is part of the firm’s switch to practicing under the shortened name, which is not based on any changes to its partners or personnel. 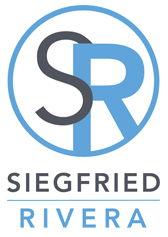 The changes are reflected in the firm’s completely redesigned website, which is now found at www.siegfriedrivera.com, as well as in its new logo featuring a sleek, modern design with a dusty blue and charcoal color palette. The firm’s blogs are at www.FloridaHOALawyerBlog.com, www.FloridaConstructionLawyerBlog.com, and www.FloridaRealEstateLawyerBlog.com. Founded in 1977, Siegfried Rivera focuses on all aspects of community association, construction, real estate, insurance, corporate, and aviation law. The firm has 48 attorneys and maintains offices in Coral Gables, Plantation, and West Palm Beach, Florida. 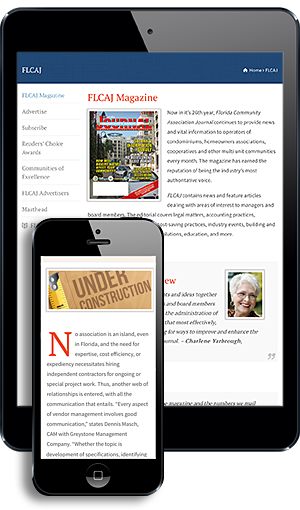 It provides representation to a diverse client base throughout Florida and the nation, including more than 800 community associations. Additional information on the law firm is available at www.siegfriedrivera.com or by calling (305) 442-3334 or toll-free at 1-800-737-1390.